It’s always best to be prepared. So, even before you pick up the phone to call about a home inspection for your own home or a home you’re interested in buying, it’s good to have questions ready. We have been in the home inspection business for more than twenty-five years, so we can answer any pressing questions you may have. 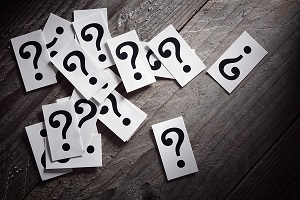 Here are three questions with answers that we hear most frequently. If you’re looking for in-depth coverage, be sure to check out the articles throughout each section for additional data. When buying a new home, it is important to get your home inspected to save you time and money. You do not want to find out later that there is damage to your home that you did not catch right away. A home inspection will find the problems for you including those that could be problematic for your health and need to be removed, such as exposure to asbestos and mold. When the health of your home on the line, it is very important to get it inspected. If you are already a homeowner, you may need to if you believe your home’s condition is the reason for an illness or injury. How Much Will an Inspection Cost? Experience: You want to hire an experienced inspector that has seen the good, the bad, and the ugly for inspections. Pricing Transparency: Can the home inspector provide pricing, including additional costs, upfront or do they have them posted on their website? Reviews: Be sure to check online reviews and look at their BBB (Better Business Bureau) page to see their rating and complaint responses. Will My Home Fail an Inspection? Damp Crawlspaces and Basements: This can mean there are cracks in your foundation allowing water in. Mold and Mildew: The problem with mold and mildew is all they need is more water to grow. Poor Roof and Chimney Conditions: This means degrading shingles and seals on your roof, chimney, vents, and skylights allowing water in. Plumbing and Piping Woes: Another way to fail if there are leaking pipes or something is wrong with the plumbing. Electrical System Issues: This can be another red flag for inspectors in older homes or if they are not up to code. Before your home inspector starts his job, make sure you notify him if you are aware of any of these problems. When it comes to home inspectors, be confident that your inspector is experienced and looking out for your best interest. At the Homeinex Corporation, we have experienced staff and quick service and we’re also accredited by the BBB with an A+ rating. If you have any further questions or are interested in setting up an appointment, contact us today.